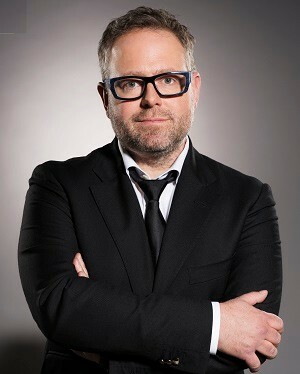 The Honorary President of the 12th edition of the 48-HOUR RIDE will be Alexandre Taillefer. It is a great privilege for the children of the Foundation and for the event to be able to count on a personality like Mr. Taillefer. We sincerely thank him for his dedication to our cause and we wish him the warmest welcome to the great Make-A-Wish Quebec family. As managing partner of XPND Capital since 2011, an investment fund for companies in the transportation, technology, media and entertainment sector, with nearly $ 100 million, Alexandre Taillefer is a serial entrepreneur that became known publicly thanks to his participation on the television show « Dans l’Oeil du Dragon ». At the age of 21, he founded Nurun, an interactive agency owned by Publicis. In 2001, he founded Hexacto, which became a world leader in mobile gaming within two years and was bought by Electronic Arts. In 2007, he co-founded Stingray Digital, a public company that broadcasts music daily in more than 100 million households around the world. He founded Téo in 2015, an all-electric taxi company that revolutionized the industry. He chairs on numerous boards including those of GSM Project, iPerceptions, Téo and Mishmash. A tireless advocate of culture, he was a member of the board of directors of the Opéra de Montréal from 1996 to 2012. He is chairman of the Steering Committee of Montréal, Cultural Metropolis. Since 2012, he has been Chairman of the Board of Directors of the Montreal Museum of Contemporary Art, which has since undergone a major revitalization. He also pens a socially engaged column for the newly revamped monthly publication Voir and does not hesitate to share his ideas and his passion as a speaker.